Quite a new technology PWA is increasingly common in discussion of possible solutions for improving a website load time, along with more powerful servers, caching systems and clouds. To improve the customer experience for online shoppers, the native applications are frequently used. PWA, in turn, brings almost all advantages of a native mobile app to the web. Many are now talking about PWA as a business milestone, that is setting the new standards for E-commerce best practices. So, initially, we have the challenge to understand - what exactly PWA (Progressive Web Application) is and what this technology can offer for the store owners and the online shoppers. Progressive Web Applications (PWAs) are web applications that load like regular web pages or websites but can offer the user functionality such as working offline, push notifications, and device hardware access traditionally available only to native Mobile applications. PWAs combine the flexibility of the website with the experience of a native Mobile application. And perhaps this could be the most important advantage from your client’s point of view - PWA delivers an app-like experience, without the need to go through device-specific App Store or Google Play and go through an installation procedure. It can essentially be installed into a user’s mobile home screen from the web to have the look and feel of a native app. PWA works offline, allowing the user to keep on browsing even without an internet connection. The comparative specifications between PWA, native applications and responsive websites are shown below. Most often, PWA technology currently helps to improve mobile solutions. However, the performance improvements that PWA brings are also displayed on the desktop version of the website. In fact, Desktop Progressive Web Apps have become increasingly popular, and the leading browsers already fully support it. Progressive Web Apps provide now the full app-like experience on the mobile web and ensure the increase of conversion rates. Please do not forget about another advantage of PWAs is that they have the capability to work offline, allowing users to still have access to useful information whilst offline. Let’s consider Magento 2 stores, the release of Magento 2.3 introduced the most awaited feature PWA Studio. It is a suite of tools that empower to develop progressive web applications. PWA thus enables the efficient performance of the store and increases user engagement and conversion rate. It does not require significant changes, you may have to add some logic to features where APIs are used. Forbes improved user experience with faster load times and highly visual content. They offered an immersive full-screen experience and even re-engaged users with enhanced capabilities like offline reading, web push-notifications and the home screen presence. Users can add the PWA to their home screens with just a couple of taps. One of the key issues facing Flipkart was that more than half of Flipkart users had an inconsistent communications network or were only able to access a 2G mobile network. To sum up, PWA benefits far outweigh the initial costs. Considering the future upgrades as well, as the codebase will need to be updated in a single place, rather than for each operating system separately, that significantly reduces the cost and simplifies the process. 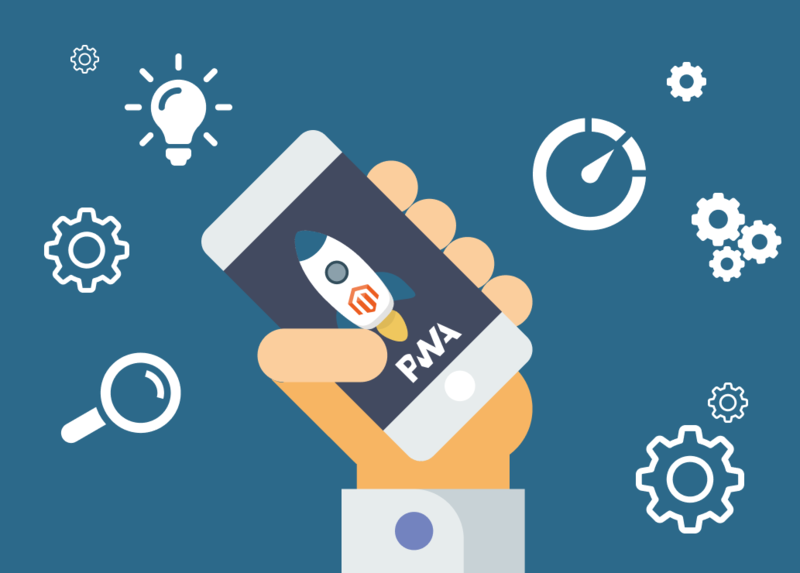 In 2019, PWA will become increasingly prevalent and more popular. Developers are likely to write more PWAs primarily because the libraries they use, such as Redux and Firebase, encourage them to design apps that align with a PWA architecture.